Fuller, who wrote more than thirty books, coined and popularized terms such as “spaceship earth” and “synergetics,” and helped develop numerous design and architecture inventions, explains step-by-step the mysteries of the universe, with interruptions by the kids any time they could not follow him. 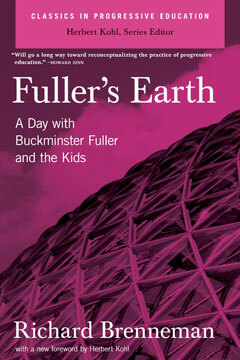 A brilliant portrait of a dynamic teacher, Fuller’s Earth will be an inspiration to progressive educators today. Richard J. Brenneman, an award-winning journalist, is a father of four. He lives in California.